Paul Garbett | Muskoka Ontario based artist who uses the unique medium of encaustic. Muskoka Ontario based artist who uses the unique medium of encaustic. New Art, Western Living Magazine And A New Year. Happy New Year and all the best in 2015! Another eventful year planned ahead but first, a few highlights I would like to share that brought 2014 to its exciting end. Check out the December 2014 issue of Western Living Magazine. 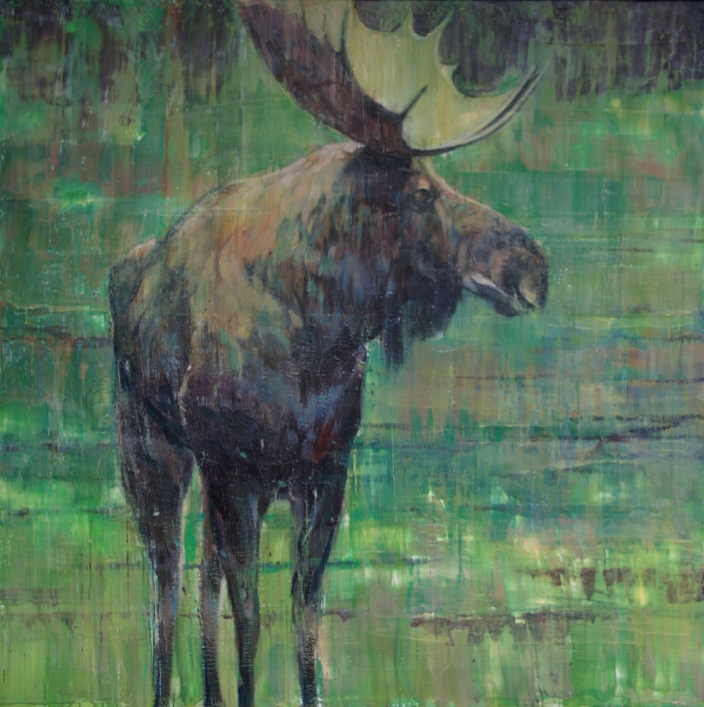 One of my encaustic moose paintings is seen in the modern family cabin featured in the article. An ultra-modern scandinavian designed cabin, gorgeous space. To see and read the entire article, please click HERE. More updates to come as we begin approaching the spring season. In the meantime, here are two of my recent paintings. Stay connected on Facebook, Twitter, Pinterest and Instagram! This entry was posted in Uncategorized and tagged art, art muskoka, artists, canadian art, encaustic art, hot wax paintings, paintings, paul garbett, wax paintings, whistler, whistler village art gallery, wilderness paintings on January 16, 2015 by Paul Garbett Art. Art & Design. Illustrating For The Corporate Market. The topic of what separates design and art can sometimes be convoluted and is quite often debated. Designers and artists use what would be considered shared knowledge of sorts but often their approach for doing so is different. Part of my creative history involved working as an illustrator and designer many years ago. In order to stand out in what was a very competitive market, I developed an illustrative technique that appealed to many designers, design studios and agencies. The equipment I used was a Nu-Arc printer’s vacuum frame. It has a flip-top and uses a vacuum to pull the plate and negative against the glass, but rather than use a plate I would use canvas and colour keys instead of a negative. I would load it with the lid up, close the glass lid, turn on the vacuum, and when it would be pulled up to maximum vacuum (note the gauge that tells the vacuum), I would then flip it over and expose it using the timer. After exposure it would get flipped back, the vacuum then turned off, glass would then be opened and canvas removed. TheNu-Arc printer uses carbon rods for an arc light for exposure. Once the canvas would be removed, chemicals would be applied to the canvas to develop the colour key. The canvas would be put back in the vacuum frame with a different colour key for another exposure. Different colour keys and oil stains would be used to achieve different effects. Stay connected with me on Facebook, Twitter, Pinterest and Instagram. 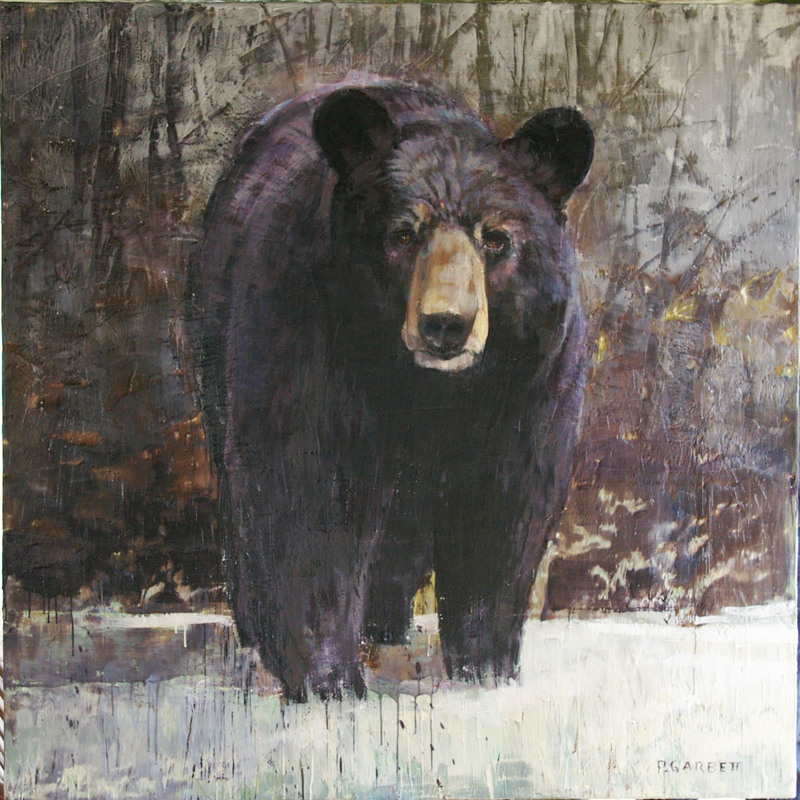 This entry was posted in Uncategorized and tagged art, art muskoka, artists, canadian art, encaustic art, hot wax paintings, large animal paintings, paul garbett, wax paintings on December 8, 2014 by Paul Garbett Art. The Medium Of Encaustic As Described By Artist Paul Garbett. I’ve had several people ask me about the medium of encaustic, its properties and more importantly the process and approach I use when it comes to painting. Here I’ve decided to describe (in a somewhat paired down way) my four step process using one of my paintings as an example. I build my panels out of birch and oak. Sometimes I glue canvas to the panel but in most cases I prepare the panel with 4-6 layers of wax, pigmented with white oil paint. Each layer is fused to the next, often scraping in between to achieve a desirable texture. I then rough in the sketch using graphite. I begin mixing colour with oil and melted wax. The percentage of oil to wax can vary depending on the level of opacity I need. Typically I will use 30% oil to 70% wax. The wax I use is microcrystalline because of its plasticity. I lay in the colour based on a rough value plan. The final stage utilizes different tools to apply large areas of colour, sometimes thin layers, often many thick layers, but all the while I’m fine tuning the image. The final painting does not require a preservative coating. There really isn’t a ‘one size fits all’ model from concept to completion however, each project does utilize the four steps I’ve outlined (in varying degrees if and when necessary). Stay connected on Facebook, Twitter, Pinterest & Instagram! This entry was posted in Uncategorized on October 21, 2014 by Paul Garbett Art. Artistic Content, Transitioning Naturally & Passionately. The more I do, the more driven I get. I left the faster paced day to day behind but still maintain a disciplined approach to my work and work ethic. I’ve been painting landscapes for several years, transitioning naturally toward wildlife and exploring human subjects to a greater degree. My stylistic journey begins with the influence of impressionism and tonalism with several incredible artists coming into play in terms of my influencers over time. Here I’ve decided to highlight a few that have been enormously inspirational. 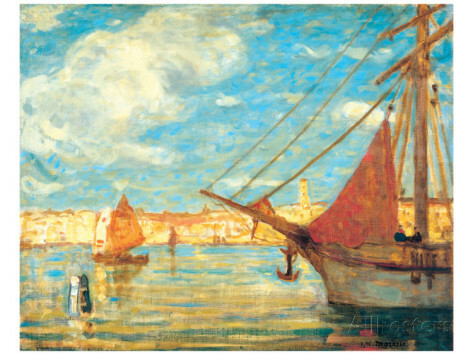 paintings at first were inspired by Whistler. He also went through a period called ‘Caribbean’ where most of his works from this time were considered his best. 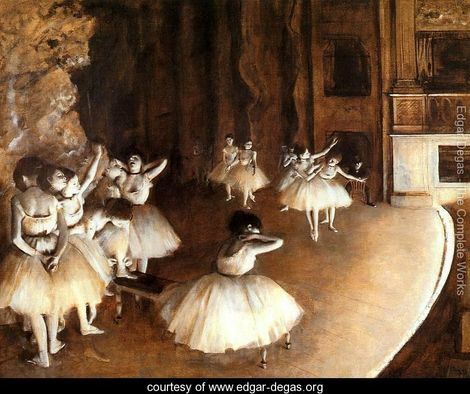 Edgar Degas was one of the founders of Impressionism but preferred to be called a realist. 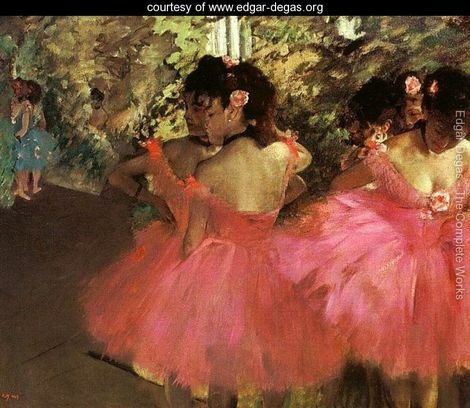 He identified with the subject of the dance. His portraits are considered to be among the finest in the history of art. Much like these artists who have enriched the lives of many, the enjoyment I get out of painting and sculpting for people is the idea that I’m enriching their lives also. Stay connected with me on Facebook, Twitter, Pinterest & Instagram! 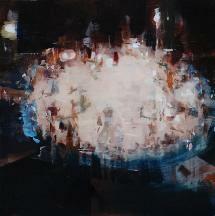 This entry was posted in Uncategorized and tagged alex kanevsky, art muskoka, artists, canadian art, edgar degas, encaustic art, encaustic paintings, hot wax paintings, james wilson morrice, large animal paintings, muskoka artists, paul garbett, wax paintings, wilderness paintings on September 9, 2014 by Paul Garbett Art. Capturing Snapshots Of Life & The Influence Of Nature. Nature has always played a vital role in creative expression. Whether this is realized on a conscious level or remains unidentified because it sits in our subconscious, nature influences how we interpret the world around us. It’s one of the few things that can truly tap into all of our senses at once. In turn, the art we create from nature’s immense inspiration carves us on a personal level and sharpens our cultural identity. Its power and beauty can forever ingrain us. Often, depending on where we sit on our ‘life scale’, we’re not able to truly ‘see’ our surroundings. Through art, I try to call attention to what life often doesn’t OR rather what we’re not registering at any given time throughout our journey. Nature inspires me, human nature captivates me. Through painting, I attempt to capture the true essence of anything that stirs the soul. You can stay connected with me on Facebook, Twitter, Pinterest & Instagram! 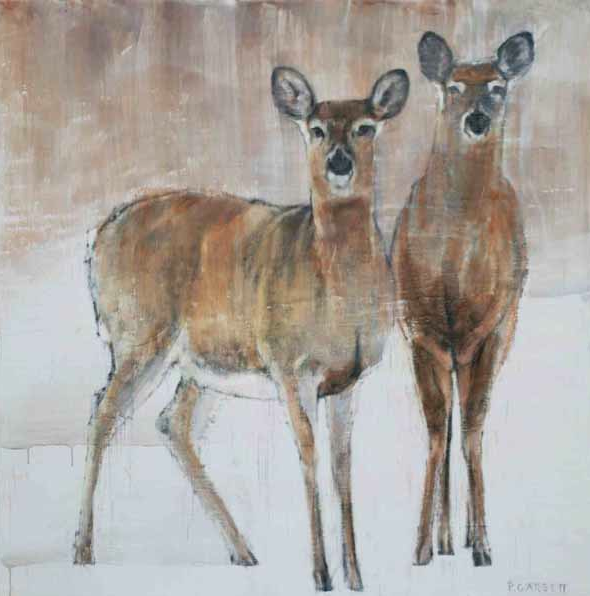 This entry was posted in Uncategorized and tagged art, art muskoka, artists, canadian art, encaustic art, encaustic paintings, hot wax paintings, large animal paintings, muskoka artists, paul garbett, wilderness paintings on August 7, 2014 by Paul Garbett Art. 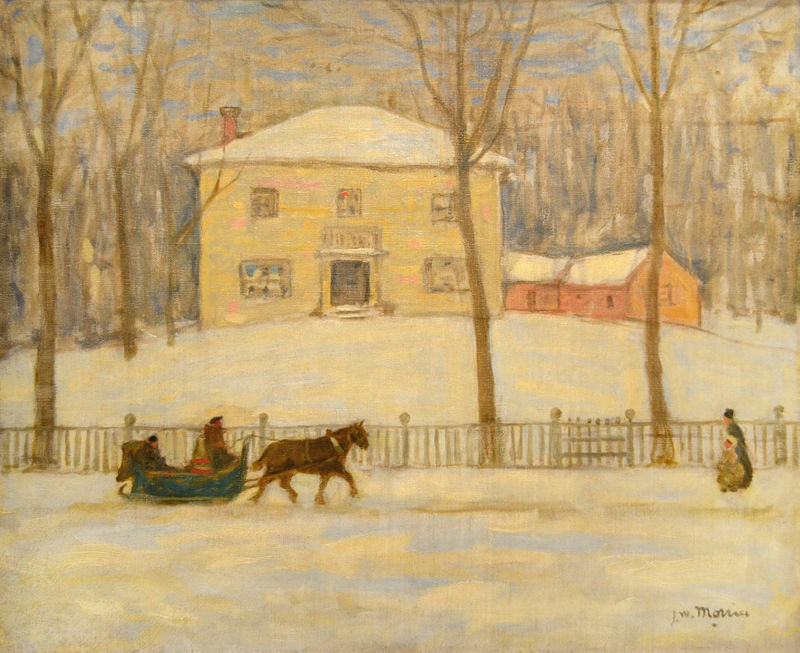 Art, Northern Inspiration, Painting & The Canadian Experience. Encaustic is a wax based paint composed of beeswax, resin and pigment which is kept molten on a heated palette. 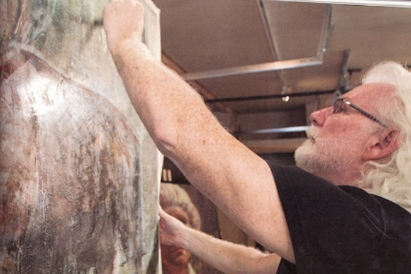 Encaustic is as versatile as any 21st century medium. The word ‘encaustic’ comes from the Greek word enkaiein, meaning to burn in, referring to the process of fusing the paint. It can be polished to a high gloss, carved, scraped, layered, collaged, etc. Encaustic paintings do not have to be varnished or protected by glass because encaustic works as is its own protector. This is because beeswax is impervious to moisture, a major cause of deterioration in a paint film. Wax resists moisture far more than resin varnish or oil and buffing encaustic gives luster and saturation to colour in just the same way resin varnish does. 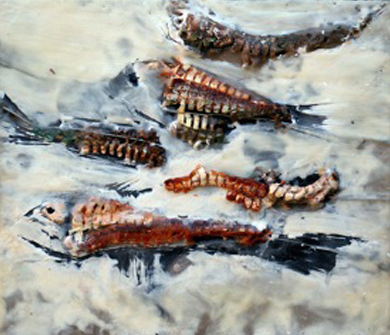 Artist Paul Garbett lives through the process of painting and sculpting and has chosen the medium of encaustic. 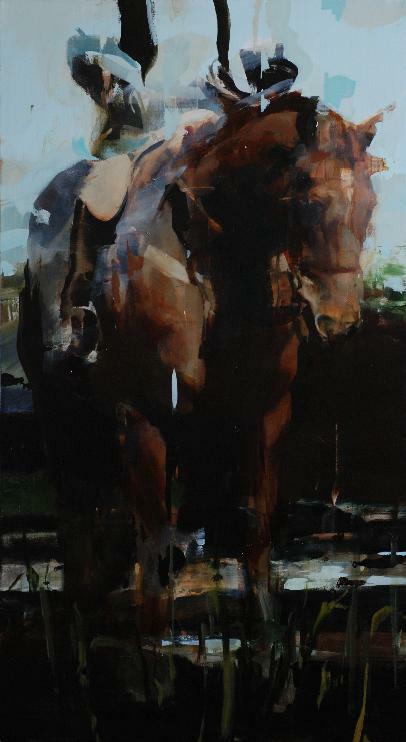 He currently focuses on large landscape and animal paintings and uses both oil AND encaustic mediums on canvas and wood panels. ‘Although my painting is presently focused on the Canadian experience here in the north, I’m not satisfied with just this direction and need to dive deeper into what the Canadian experience encompasses,’ says Garbett. Muskoka being where he currently lives has also provided him a myriad of creative inspiration. From 1971 until 2003, Garbett’s family had a cottage on Wilson’s Island on Lake Muskoka where he spent his childhood summers. 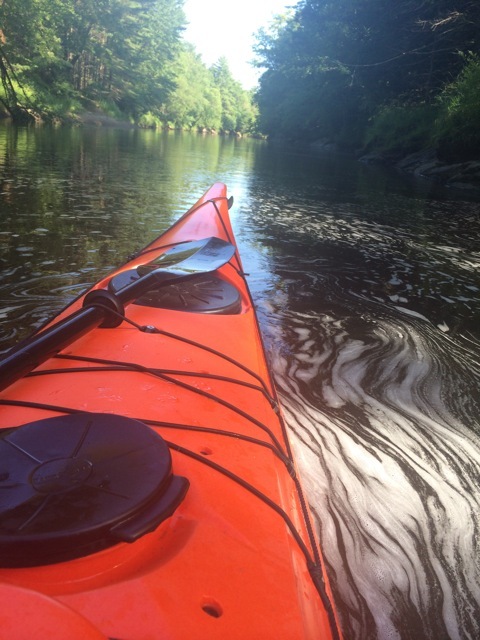 Living in Muskoka has given him an even deeper perspective on the Canadian experience. 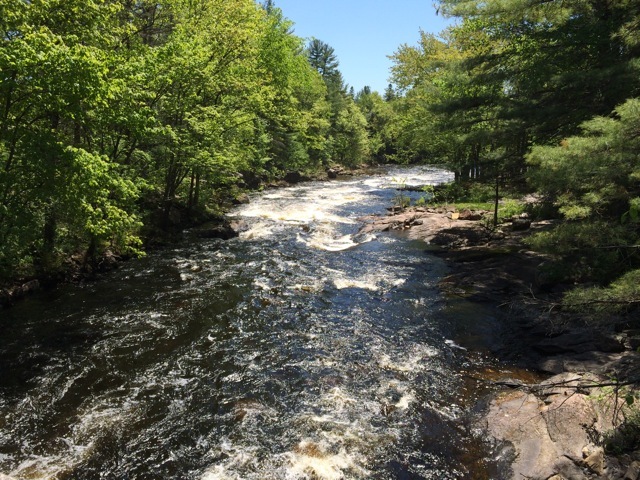 ‘I love winters here in Muskoka, I think they are spectacular and are great to paint,’ states Garbett. Garbett, a member of Muskoka Arts and Crafts works out of his custom built studio in his home. This entry was posted in Uncategorized and tagged art, art muskoka, artists, canadian art, canadian artists, encaustic, encaustic art, encaustic paintings, hot wax paintings, large animal paintings, muskoka artists, painter, paintings, paul garbett, wax paintings, wilderness paintings on July 8, 2014 by Paul Garbett Art. This is my first blog posting – happily ramping up my digital existence and excited about introducing and showing my work to new audiences online. Upcoming show announcements and other news to come!! Please connect with me on Facebook, Twitter, Pinterest & Instagram. 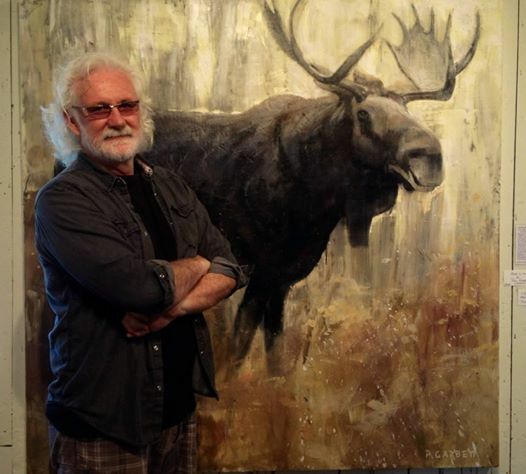 This entry was posted in Uncategorized and tagged art, art muskoka, artists, encaustic art, encaustic paintings, hot wax paintings, large animal paintings, muskoka artists, painter, paintings, paul garbett, paul garbett artist, wax paintings, wilderness paintings on June 14, 2014 by Paul Garbett Art.